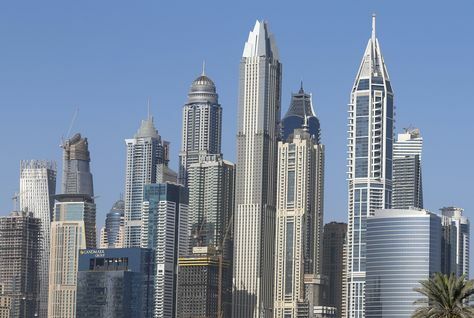 Dubai’s residential property market is expected to perform “better” as Dubai Expo 2020 nears although prices and rents will decline between 5 and 10 percent this year, according to S&P Global Ratings. In January, Expo 2020 Dubai said it will award 47 construction contracts worth $3 billion (AED11 billion) this year as preparations for the first World Expo in the Middle East, Africa and South Asia continue to gather pace. In its 2017 budget, the Dubai government increased infrastructure spending by 27 percent to develop projects for the Expo event. “The closer we get to 2020 the expectation is that the better the market is going to perform,” said Sapna Jagtiani, primary credit analyst, S&P Dubai, on Thursday. According to the company, the direct benefit of Expo 2020 will be on its rated companies such as Emaar Properties, which is working on launching Rove Hotels, and Dubai Investment Park due to its closeness to the Expo site. “As for the other companies that we rate in the private sector, we don’t expect a direct impact, but, of course, as more tourists come in… it will help the sector overall,” she added. While S&P expects residential prices and rents to fall by 5 to 10 percent in 2017, the analyst said currency pressure will persist and continue to pressurise the market. The British pound declined by 17 percent versus the US dollar in the past 12 months due to Brexit fear. The Euro, Chinese Yuan Renminbi, and Indian Rupee have declined by 3 percent, 7 percent, and 2 percent, respectively. The ratings agency said the market will be able to absorb a supply of at least 10,000 to 11,000 units in 2017, but currency pressures will have impact on prices. In 2016, Jones Lang LaSalle’s 2016 report said nearly 15,000 housing units were delivered in Dubai, adding 3 percent to the overall supply. Emaar and Damac will represent about 35 to 40 percent of total project launches, who are expected to deliver between 5,000 and 5,500 units in the emirate, S&P said.